Chairman of the State Duma Committee on International Affairs, Chairman of the Board of the International Public Foundation “Russian Peace Foundation”, Doctor of Economic Sciences. Leonid Slutsky was born on January 4, 1968 in Moscow. Higher education – graduated from the Moscow Institute of Economics and Statistics. Doctor of Economics, Head of the Department of International Relations and Integration Processes, Faculty of Political Science, Moscow State University MV Lomonosov. 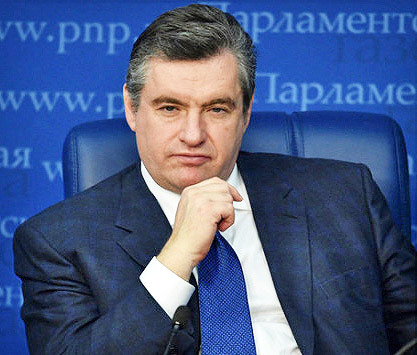 Deputy of the State Duma of the Russian Federation of the third, fourth, fifth, sixth and seventh convocations. Chairman of the Committee on International Affairs. Chairman of the Board of the International Public Foundation “Russian Peace Foundation”. From 2000 to the present, Leonid Slutsky has been the deputy head of the delegation of the Federal Assembly of the Russian Federation in the Parliamentary Assembly of the Council of Europe (PACE). Until 2012, he was the coordinator of the parliamentary group for relations with the Parliament of the French Republic. Member of the Presidium of the Independent Association “Civil Society”. Prepared a number of reports in PACE: “On the activities of the International Committee of the Red Cross” (2002), “On the accession of Monaco to the Council of Europe” (2004) – as a result, it was decided to admit the Principality of Monaco to the Council of Europe as the 46th state, “On the closure of the monitoring procedure of the Principality of Monaco” – as a result, for the first time in the history of PACE, the monitoring of Monaco was closed unanimously on 01.10.2009. In 2000-2005, he traveled on official business trips to Chechnya dozens of times, including accompanying PACE rapporteurs on the situation in the Chechen Republic. He took an active part in the restoration of the economy and social sphere of the Chechen Republic in 2007. He was awarded the highest award of the Chechen Republic – the Order of Kadyrov with the wording “for exceptional services”. He took an active part in solving the problems of the Estonian Orthodox Church of the Moscow Patriarchate and in the return of property belonging to the Russian Orthodox Church in Estonia. Much attention is paid to the situation of the Russian-speaking population in the Baltic countries. Leonid Slutsky has repeatedly spoken at environmental forums on issues of environmental sustainability, ecosystem management, and the conservation of biological diversity in nature. The chairman of the RPF Board, Leonid Slutsky, along with Prince Albert II of Monaco, took part in polar expeditions to the North Pole and to Antarctica on climate change issues. Member of the working group under the President of the Russian Federation on the restoration of cultural objects, other religious buildings and structures (order of the President of the Russian Federation No. 781-rp dated November 25, 2009), secretary of the working group under the President of the Russian Federation on the preparation of the 700th anniversary of Birth of St. Sergius of Radonezh (order of the President of the Russian Federation No. 844-rp dated December 6, 2010). Member of the Council under the President of the Russian Federation on the Affairs of the Cossacks. President of the International Public Foundation “Kronstadt Naval Cathedral in the name of St. Nicholas the Wonderworker”. Leonid Slutsky was awarded the Orders of the Russian Orthodox Church for active cooperation with the Russian Orthodox Church: Order of St. Equal to the Apostles Prince Vladimir, III degree (1996); Order of St. Rev. Sergei Radonezhsky II (1999), and III degree (2003); Order of St. Seraphim of Sarov I degree (2012). In 2006, Leonid Slutsky was awarded the Order of the Legion of Honor – the highest award of France – for the development of parliamentary relations between Russia and France and active peacemaking activities. In November 2007, Leonid Slutsky was awarded the Order of Grimaldi – the highest award of the Principality of Monaco – for his active contribution to the development of inter-parliamentary relations, the Order of Friendship (Azerbaijan, 2009). In December 2008, the President of the Russian Federation awarded Leonid Slutsky with the Order of Friendship for achievements in strengthening the international cooperation, rapprochement and mutual enrichment of cultures. On May 3, 2012, by the Decree of the President of the Russian Federation, Leonid Slutsky was awarded the Order of Honor for his great contribution to the implementation of measures to restore the Kronstadt Naval Cathedral in the name of St. Nicholas the Wonderworker. In 2015, Leonid Slutsky was awarded the Order “For loyalty to duty” – for patriotism, active social and political activity, personal contribution to strengthening the unity, development and prosperity of the Crimea. In March 2016, by decree of the President of the Russian Federation, Leonid Slutsky was awarded the Order of Alexander Nevsky; in June 2016 – the Order of Honor of Belarus. From personal funds, Leonid Slutsky renders charitable assistance to the Krasnodar Icon Painting Studio of disabled children, orphans, veterans, large families, etc., and provides financial assistance in the implementation of charitable programs and projects of the Peace Foundation. Regularly allocates personal funds for the restoration of Orthodox churches, the Kronstadt Naval Cathedral. December 19, 2018 awarded the Certificate of Honor of the Prime Minister of the Russian Federation.